Baltimore, MD, — On Monday, April 13, 2015 a coalition of African American clergy announced the launch of a new initiative titled, Driving on E. The subsequent release of the Walter Scott footage, a 50-year-old Black man who was fatally wounded by a South Carolina police officer, is prompting the faith community to respond. After relentless past protests and petitions around the country in response to racial unrest, faith leaders say they are now on “E.” Frustrated by years of racial profiling, minimized funding in the Black community, and low-paying jobs, the men and women of the cloth and countless parishioners are preparing to take action against the inequities facing African Americans. With an estimated 500,000 churches across America, representatives of leading Black Christian organizations have strategized a national economic stimulus plan to move the African American community forward in business, employment and education. Using economics as the catalyst for change, Rev. 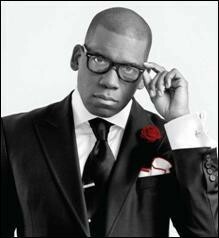 Dr. Jamal-Harrison Bryant, Pastor of the Empowerment Temple Church in Baltimore, Maryland is also the President of the Empowerment Movement, which is the organization that will spearhead the massive undertaking. Bryant’s goal is to utilize the Driving on E campaign as the bases for educating African Americans to redirect their annual consumer spending power of $1.1 trillion to facilitate precise objectives that will create foreseeable change within the Black community. WHAT: Dr. Jamal-Harrison Bryant, along with leaders of multiple denominations and corporate partners, have launched the Driving on E campaign: a national, economic stimulus plan to facilitate change within the Black community related to economics and employment. Phase 1 of the Driving-on E campaign is the push to “Buy Black.” The plan is specifically targeted to increasing and sustaining the growth of Black-owned, small-businesses. “The goal is to start with small tangible action items, then add on,” explains Dr. Bryant. Phase 2 of the plan will be implemented after six weeks of heavy promotion of “Buy Black” business campaign. The Driving on E campaign will then roll out a national summer jobs plan. The idea is to leverage support for Black-owned businesses through summer employment for Black youth. WHO: Dr. Bryant of the Empowerment Movement will announce key action points of the Driving on E campaign. The non-partisan organization was launched with the support of the AME, AME Zion, COGIC, Progressive, Bible Way, Full Gospel, CME and United Covenant churches. Other national campaign partners include the National Bankers Association, the U.S. Black Chamber of Commerce, Inc. and the Rejoice Musical Soul Food Network.